Thanks. Italo! Yes. the intensity is interesting, AND . . the way he sits 10 - 15 minutes without moving the tiniest little muscle . . total concentration . . The intensity of the subject's expression is very beautiful. 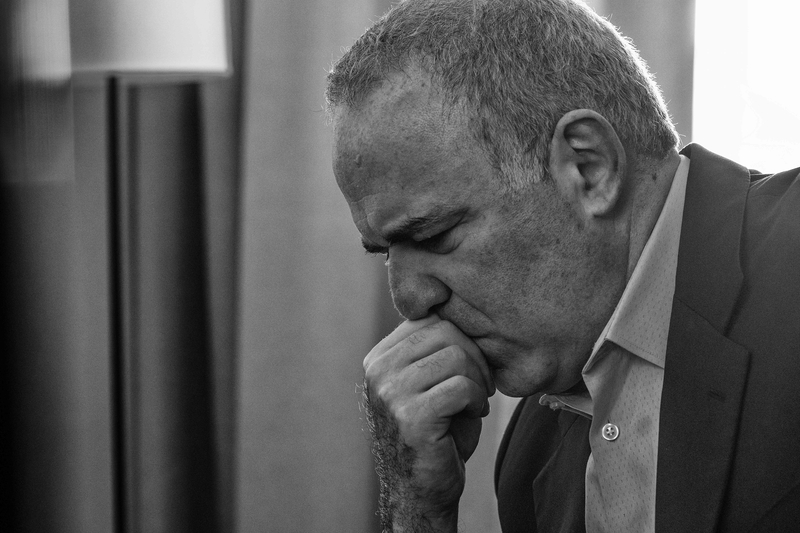 Garry Kasparov contemplating his next move. "Now, if I sacrifice that pawn . . "